Toni Rolleston-Cummins, has a journalism degree and has written poems and stories from a young age. 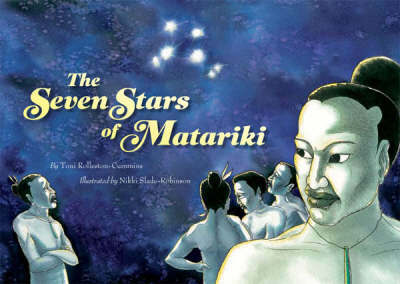 Finding a shortage of good books about Matariki, she originally wrote this story to engage and entertain her class and make the story of Matariki come alive and have meaning. This is her first published book. Nikki Slade-Robinson has worked as a freelance illustrator since 1989. Nikki's passion is drawing for children, and she has illustrated over 20 children's books and readers, including award-winning The Puriri Tree/Te Puriri (Huia Publishers).